The Eccentric Star block has a simpler version that is better known than the one presented here. 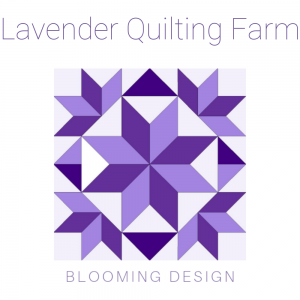 This particular version first appeared in Jonathan Holstein’s book “The Pieced Quilt: an American Design Tradition”. 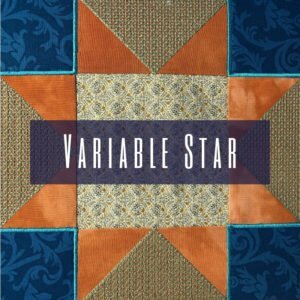 According to Celia Eddy, this particular block shows “folk art ingenuity” as it doesn’t appear in any other sources of the eccentric star block. We have provided you with a cutting diagram using rotary cutting. The numbers show the relevant block for each patch. The sizes and diagrams provided are for a 5″ block and have 0,25″ seam allowances included. The machine embroidery version of this block is now available in our store. Remember that our newsletter subscribers get notified in their inbox about a new release. You can sign up from here or here. 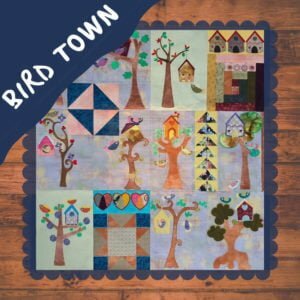 Posted in Block Barn and tagged appliqué, block barn, patchwork, patchwork blocks for beginners, quilting tutorials for beginners, tutorial. I am inspired by nature, patterns and colours characteristic of South Africa. I enjoy mixing traditional elements with modern techniques to make the classics contemporary and finding new ways to do what we love. This website is affiliated to Fat Quarter Shop. From time to time we will include links to products that we use and recommend. When you purchase from Fat Quarter Shop using these links we will receive a small commission.